Stay tuned for an article in my newspaper about galettes. I’m obsessed. The Julia crust is flaky and easy, and the filling combinations are endless. Our assigned recipe while at the beach was for the berry galette–my mom and I used a mix of strawberries and blueberries. YUM. I’ve also made the galettes with tomatoes and cheese, and asparagus and ricotta. I’m hoping to make one with peaches, or squash and cheese. Galettes offer a simple way to create a photo-worthy dish. 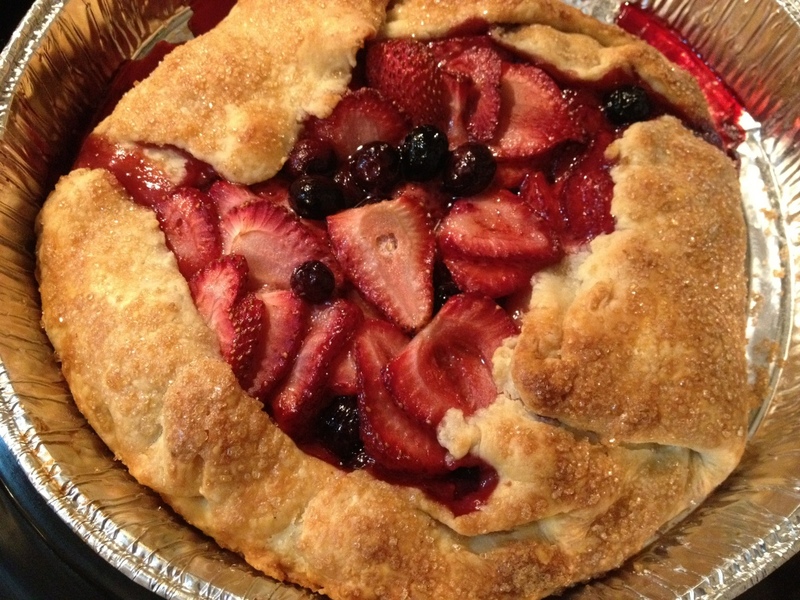 Find the berry galette recipes here. We had a great week at Folly Beach, though baking in a beach cottage meant searching for aluminum pie plates because of a lack of cookie sheets, and rolling dough on a wooden table since the counter was tiled. But now I can’t wait to go back to this beach next year! Beautifully rustic galette. Perfect for the beach! They are so fun to make aren’t they? 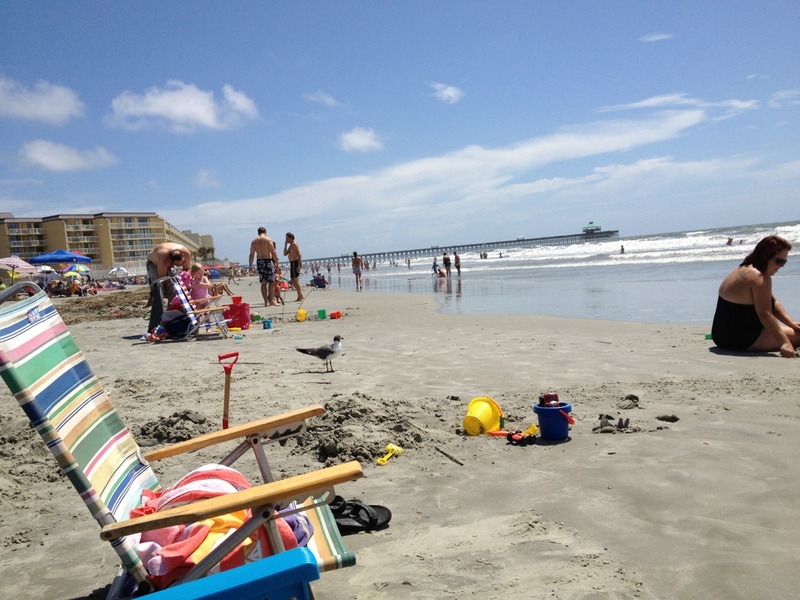 As a SC native- I am very familiar with Folly Beach. Your galette looks scrumptious! I too have fallen for this easy & deliciously versatile tart recipe- itsa winner!